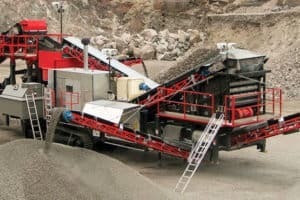 Our QS331 is a compact, high quality, secondary cone crusher. 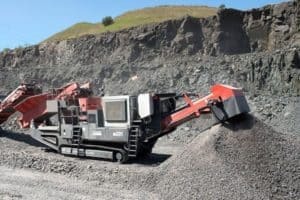 Fitted with the CS430 “S” Type gyratory cone crusher, it is capable of accepting large feed sizes and achieving high production capacities. The CS430 cone comes equipped with a hydroset CSS regulation system that will allow you to optimise production and keep track of liner wear. 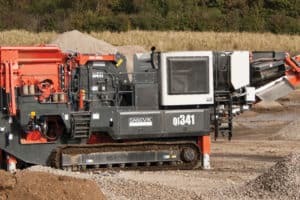 We have also fitted the unit with an automatic level sensor above the crushing chamber to help you control the feed rate. This will minimise operator intervention and ensure you maximise production and reduction. 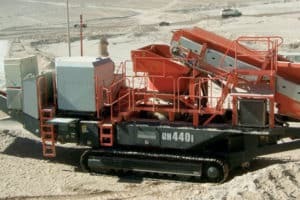 Also within this cone crusher range is the QS441.